Wader Quest: Sad (and positive) news about the Spoon-billed Sandpipers. 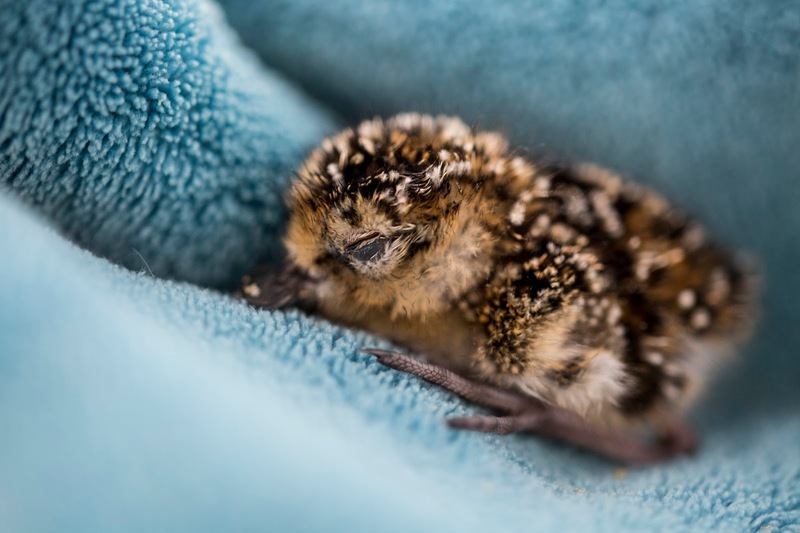 Sad (and positive) news about the Spoon-billed Sandpipers. After the elation of the weekend's big event at Slimbridge, the first ever captive hatching of Spoon-billed Sandpipers, the news was tempered by the loss of one of the newly hatched chicks. Sadly today the second has also died after just 60 hours of life. This is a devastating blow to the captive breeding team. Slimbridge Spoon-billed Sandpiper chick Photo Ben Cherry WWT. Conservation is always a roller coaster ride. One minute a success boosts moral the next hopes are dashed by some event that sets you back; but surely nothing could prepare the captive breeding team for such a turn around of events in such a short space of time. Having had the privilege to meet them we know how dedicated they are to their task of saving the Spoon-billed Sandpiper from a fate worse than death; extinction. 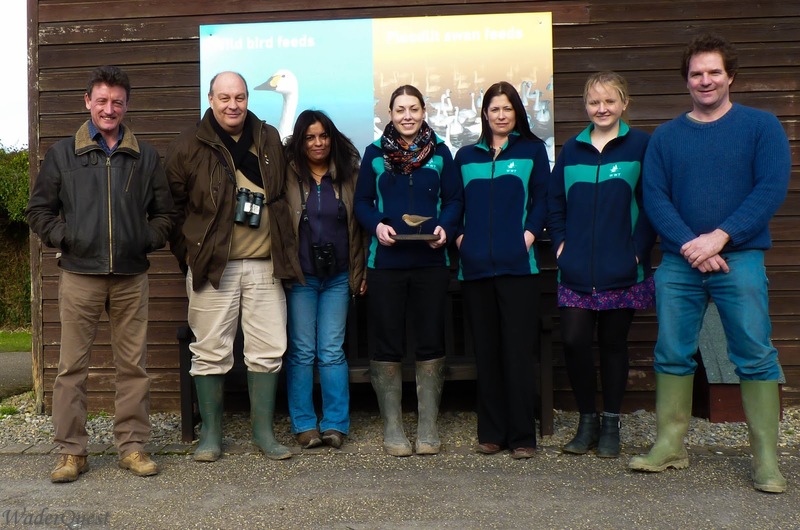 They have put their hearts and souls into getting to this point and just as we were typing a message of congratulations, news came to us direct from Slimbridge that all was not well. The nature of the team though is not to give up despite being utterly devastated by today's events. they have learned a lot and are more determined than ever to build on the success of hatching the world's first captive Spoon-billed Sandpiper next year. We send our warmest best wishes to the team and send muted congratulations for the wonderful things they have achieved that should not be forgotten despite today's sad news. L to R. Baz Hughes, (Rick and Elis Wader Quest) , Nicky Hiscock, Tanya Grigg, Rebecca Lee & Nigel Jarrett. Now, on a more positive note, also concerning the Spoon-billed Sandpipers.